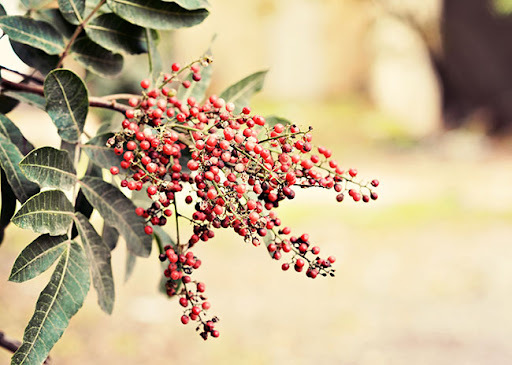 A quick scan of Dr. Google's 2nd cousin the botanist says that this is probably a Brazilian pepper tree, which is not a pepper tree at all but rather one of the sumac family, and is a naturalized resident of southern California and a weed in the Florida Everglades. Not sure which of these two headings it comes under here in Israel, but it's definitely red. Yep, I've seen plenty of these here in Southern California! Yes, we had these in the yard of our previous house! Here's my Ruby entry, have a nice day! Hope you can join my free scrap booking software giveaway. The drawing will be tomorrow. It's a great tool to make artistic photo editing for your blog.